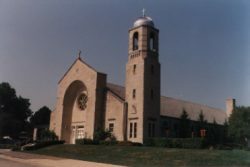 Our Lady of the Wayside Parish began in 1952 when the Reverend Harold T. O’Hara was assigned by Archbishop, Samuel Cardinal Strich to establish a second parish in Arlington Heights. 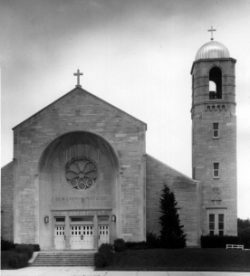 With 250 families under his guidance and a large tract of land on the corner of Mitchell and Park, the newly appointed Pastor O’Hara wisely chose to link his fledgling parish to the antique past by naming it Our Lady of the Wayside. The devotion to Our Lady under this title dates back to about the 5th century. Mary’s image was frescoed on a piece of stone taken from an ancient Roman building. The stone was moved from one road to another road, hence the name, ‘Our Lady of the Wayside.’ In the twelfth century, an important Roman family built a church to house the picture. Through the years, many saints, including Ignatius of Loyola and Francis Bargia, became devoted to it. A new church, named the Church of Jesus, was built in Rome about 1568 to honor the Madonna and her Son, and there the original fresco of Our Lady of the Wayside still resides. Copies have been carried to many lands. Our icon of Our Lady of the Wayside was written by a distinguished Italian artist. The May devotions to Mary celebrated throughout the Church, and by us today, began before the Shrine of Our Lady of the Wayside in 1815. 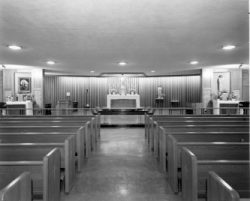 Anchored deeply in the history and devotions of the Roman Catholic Church, the physical development of Our Lady of the Wayside Parish reflects the history and social development of the post-World War II Catholic Church in the American suburbs. Mass was first celebrated in July 1952 in the small gym of the old South Junior High School (that was torn down in 1997 as part of building the new South Middle School which also opened in 1997). Daily Mass began to be celebrated in August 1952 in a small chapel housed in the living quarters built as the home of the new pastor. 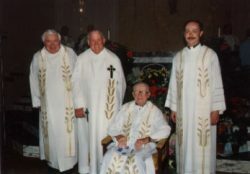 Father O’Hara worked side by side with the original parishioners in the building of the parish, a relationship that formed them into a cohesive unit. 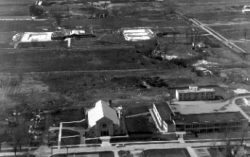 In 1953, May 24th, the feast of Our Lady of the Wayside, was appropriately chosen to break ground for the new parish building, which was to be a combination school, church, convent and meeting hall. That same day, the Dominican Sisters of St. Catherine of Sienna agreed to staff the new school. Religious education began immediately, taught in the homes of various parishioners on Sunday mornings by visiting Dominican sisters from St. Bartholomew’s in Chicago. As work progressed on the parish building, December 24th became the target for a first Mass in the new parish’s official, if temporary church. As December 1953 approached, the dream seemed increasingly impossible. However, spurred on by Father O’Hara’s enthusiasm, the contractors worked even harder to meet the deadline. 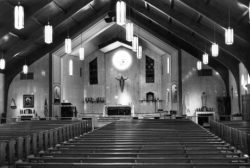 On Christmas Eve itself, Father O’ Hara, the Altar Committee and members of the Holy Name Society labored to convert a large dusty room into a beautiful church in which to celebrate a most memorable Midnight Mass. The new school was ready by August 1954 for three hundred students, four Dominican sisters and seven lay teachers to begin the task of learning. The convent was completed in 1955. By 1956, one thousand students had filled the school to capacity. 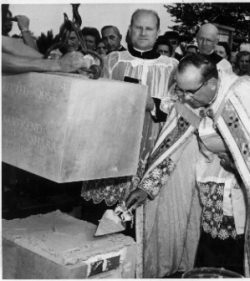 Ground was officially broken in 1956 for the building of a separate, permanent church. The temporary church quarters in the school were converted into seven much needed classrooms. The new church was built in a modified Romanesque style with an exterior of Indiana limestone to conform with the school and the convent. 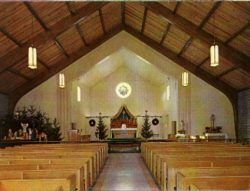 Mass was first held on Sunday, September 29, 1957 in the not yet completed but definitely permanent church. The inside of the church was not decorated at this time since any extra money had been used to build out the seven new class rooms. An addition to the convent was started in March 1958 which was ready for occupancy in September 1959. Six more classrooms were added to the school in 1960. Also that year construction of the fourth and final rectory was started and was ready for use in February 1961 when Father O’Hara and his two assistants moved into the completed rectory. 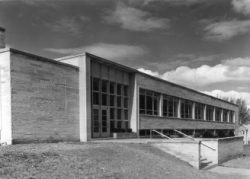 The final building phase under Father O’Hara’s guidance was the completion of the Junior High School which was dedicated on April 20, 1968 thus capping a 15 year effort in the construction of the parish complex. Father John Mackin became pastor in 1970. He was responsible for the task of initiating the dramatic changes brought about by Vatican II. Turbulent social changes occurred in American society in the late 60’s and early 70’s which resonated in the Church as well. Growth took on new meanings as school-aged populations dwindled and religious vocations declined. By 1973, the once crowded convent of Our Lady of the Wayside was leased to Clearbrook Center in Rolling Meadows as a supervised live-in center for physically challenged adults who can hold jobs in the community. This reaching out to the community at large, this response to social needs became a hallmark of the maturing parish. Father Richard Ehrens became pastor in 1983 and urged his parishioners along their route of spiritual growth. The Care Committees formed under Father Mackin became the Care & Outreach Program. Father Martin Barnum became the pastor in 1989 and continued to turn the attention of the parish toward practical and human needs. 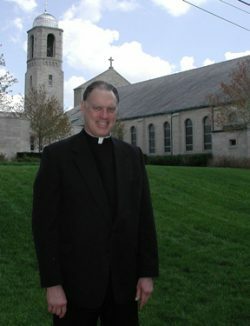 Father Vincent Costello was pastor from January 1994 through July 2005. 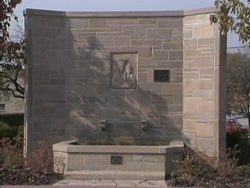 Under the leadership of Father Vince, our parish in 1998 saw the completion of the first major building project in 30 years with the opening of our new Gathering Place. Final landscaping was completed in May 1999. The building program continued with the Millennium Campaign which was conducted to raise funds to renovate the convent into offices and meeting rooms. The new Parish Center opened in August 2002, in conjunction with the Parish’s 50th Anniversary year, June 2002 to May 2003. 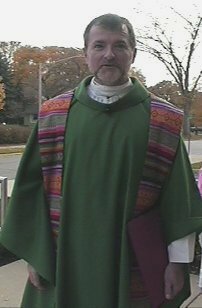 Father Ed Fialkowski became our pastor in November 2005. A history, by its nature, can never capture the totality of the experience. Too many names must be excluded in the interest of being concise. Those who live through an actual experience will always carry a richness of detail with them that new-comers can only long to touch in its completeness. The truest history of a parish must be sought in the individual moments extended through time: in the buildings that those before us have left to our care; in the tattered pages of scrapbooks rich with nostalgia; in the sparkle of the affection that shines from the eyes of a parishioner as she speaks of the early days; in the pages of the weekly bulletins recording the minutiae of human life, in the boxes of photos, and now this Web page. Always, it returns to this: the church. The history of a parish begins with its church, with its brick and mortar construction put together with human hands and held together by human hearts. Our building encompasses the rich past that took a dream and made it real. 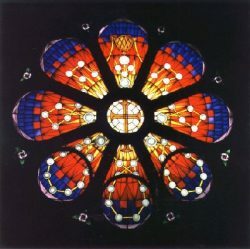 Within it’s walls are parishioners of the present whose hopes and needs shape a living church. Even as the present takes shape in the quiet of a solemn moment, in the stillness between thoughts in a homily, a baby cries out. The future beckons to be heard. Guided by faith, strengthened by tradition, Our Lady of the Wayside Parish moves together into that future ready to meet the challenges to be offered.